I flew Korean Air from Incheon Intl to Narita (Tokyo) which was rather pleasant. The hostesses were attentive and looked like dolls strutting down the aisle! I sat next to two men – Japanese architects who were on their way home after spending several weeks in Cambodia. When the one man hauled out his huge Canon camera, I immediately asked him to help me navigate my new Nikon camera (Japanese make) that I bought 2 days before. It hadn’t come with an English manual, and I didn’t have time to look for one online. Anyways, he helped me out with the settings and all was good. We arrived in sunny Tokyo, and within a few minutes I already checked in at British Airways and spent the next hour reading while sitting at the gate where I had to board. 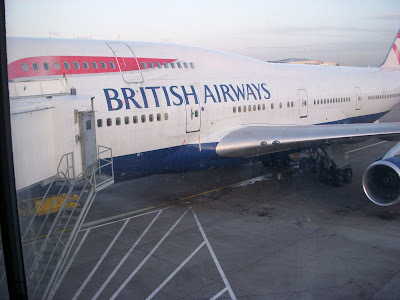 I prepared myself for the long flight to London… I got the window seat! I sat next to two old Japanese ladies who were enroute to Portugal. 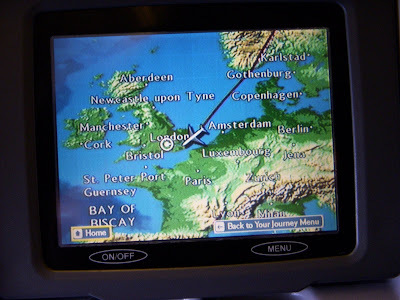 It was the first time I was flying BA, and I wasn’t really blown away. There was junk in the seat pocket in front of me (probably from the previous passenger), and I found the airhostesses to be untidy and non-attentive to passengers around me. I arrived at Heathrow at 16:20. It wasn’t as crazy as I anticipated. I got through immigration in just a few minutes, and I was soon met by my cousin who picked me up.